Commencement Date: Candidates who have cleared the AAU VET 2019 will be called for the counselling process which will be held on 31st July 2019. Admission Process: Admission into the courses involve the following steps Physical Fitness, Fee Payment, Second Counselling, Third Counselling, Re-admission. Physical Fitness: Admission for UG Degree Programme shall be subject to the medical fitness of the candidates, being declared as such by the University Medical Officer or Medical Board constituted by the University. Fee Payment: A candidate has to take admission on payment of the prescribed fee immediately after the selection. In case of failure to pay the fee at the time of admission, the seat allotted to that particular candidate will be canceled. 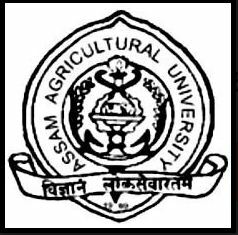 Second Counselling: Vacancy arising out of any reasons shall be filled up by selection of candidates on 7th August 2019 at AAU headquarter in order of merit. Third Counselling: Depending on the vacancy position, a Third Counseling may be arranged for the selection of candidates for admission on 20th August 2019 at AAU headquarter strictly on the basis of merit. Re-admission: A student who leaves the College with permission from the Dean/ Assoc. Dean/ DPGS (as the case may be) after completion of the requirement of at least one semester may be readmitted after a break of not more than two subsequent semesters on payment of prescribed re‐admission fee. Applicants under NRI/NRI Sponsored Quota shall submit the application online within the prescribed date. Non-Resident Indians who have been residing abroad for a minimum period of 10 (ten) years, can only sponsor a candidate for admission under the NRI‐Sponsored category. Preference will be given to NRI‐candidates.